Retro game fans Hamster has once again pulled out an SNK blast from the past for re-release on modern platforms. This week saw the release of Ninja Commando, now available on PS4, Xbox One and Nintendo Switch. Released in the Global Hypercolor days of 1992, Ninja Commando is a top-down run 'n' gun/shmup title that appeared in arcades and on the Neo Geo format. 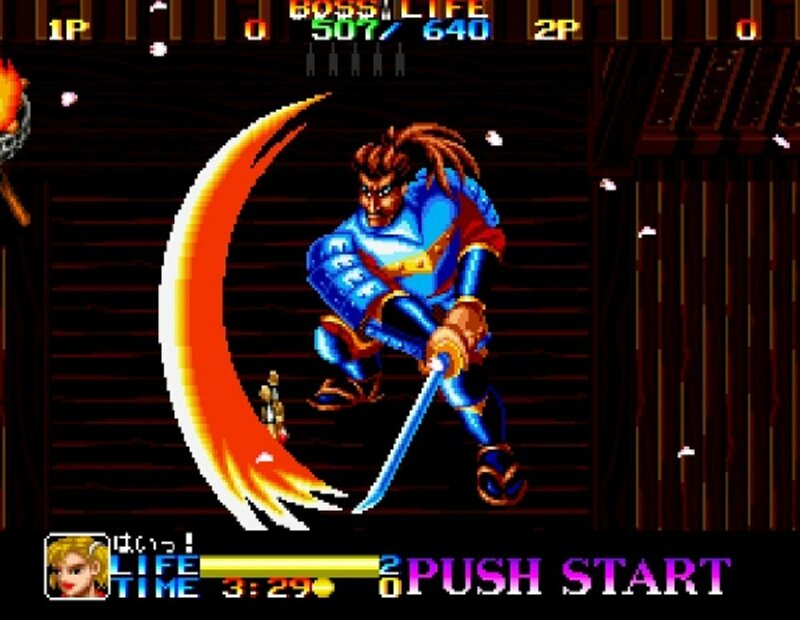 Players choose from one of three fantastically-monikered ninja warriors; Joe Tiger, Ryu Eagle or Rayar Dragon, and proceed to battle enemies through seven time periods. These include Ancient Egypt, the Stone Age, and World War II. Go figure. One or two players take on waves of foes using standard weaponry or each character's unique ninja attacks, activated with fighting game-style command inputs. Eventually, our heroes face off against boss characters, who must be defeated before passing through to the next time zone. It's a very fast-paced and action-packed game, that's for sure, although the screen can get a little busy at times reducing the action to mind-numbing button-mashing. If you want to check it out, then Ninja Commando is available to download now on PS4 in Japan, and on Xbox One and Nintendo Switch worldwide, priced at around $8.